Kaizen Tech, The Website Design Company specializes in the social networking website development, powerful and effective websites and web-based applications featuring intuitive and usable interfaces. Kaizen Tech offers comprehensive web services tailored to your business needs. We believe that website development is a process encompassing the initial planning and design and ongoing promotion, monitoring, maintenance and improvement. Kaizen Tech offers professional Website Design, Flash Animation, Ecommerce Solution, Ecommerce Website Design, Custom Website Design, Affordable Website Design, Flash Web Design, Web Programming, Website Design UK, Search Engine Marketing, PHP and ASP Development in London UK. Our unmatched experience and strong technical competence enables us to deliver scalable solutions that meet customer's needs. Ecommerce Web Development, Affordable Website Design, Application Development, Web Programming & Search Engine Optimization London UK. Ecommerce Website Design, Website content management and Database Programming ,PHP development, Web Programming, ASP. net Application development, WebPages, Custom Website Design Company in London UK for Affordable Website Design. Combining aesthetics, usability and the functionality to present and promote your business via Affordable Website. Custom applications leveraging the full potential of internet technologies to solve your specific business needs. 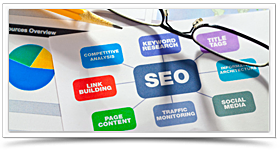 "I recommend Kaizen Techas a highly reliable and professional Website Design Company and SEO Experts. They developed fantastic website: www.autoscreens.co.uk for car windscreen repairs." 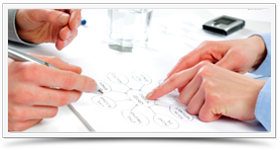 "Kaizen Tech is an exceptional Web Design firm. This is the fourth project I have completed with the firm and their work has always been of outstanding caliber." "I recommend Kaizen Tech as a highly reliable and professional web development company. They developed a big ecommerce website for us. The project was done on time an on budget that was extremely important for our organization." "Kaizen Tech provided website development insights and a high degree of professionalism that provided the Megatiles a very polished image." "Mubarak Yusuf is an amazing asset to Kaizen Tech. The end result exceeded my expectations and I greatly appreciate all of the work the Kaizen Tech team did on the new release of the In Car Music Web site." "Kaizen Tech met and exceeded our expectations. They captured the essence of our program, our mission, and our organizations culture and creatively brought it to life in their design and development of our new website. Kaizen Tech truly is a Webby!" "Most important, the new business created has been excellent and has truly contributed to the overall growth of our company." © Copyright 2012 Kaizen Tech. All Rights Reserved.